This is for one of the sweetest and most thoughtful friends that has been battling breast cancer since February 2016. Bobbi is one of the most genuine people you should have as a friend. She is a giver, a mother, a wife and a friend to all who she meets. In February 2016 she received news that she had a mass in her chest. After the doctor visits and receiving the information that she would have to undergo chemo therapy and radiation. During her fist treatments, she held strong and went through the procedure to remove the tumor, seven lymph nodes as well as a double mastectomy, including losing her beautiful black curly hair only to find out that the tumor had not stopped growing. She decided to undergo another treatment of radiation. This was not any ordinary radiation treatment, this treatment what a high dose of radiation concentrated at the tumor that has now left scars of 3rd degree burns on her chest. With these treatments behind her, the thoughts were that things would start to look good, however, she started to have coughs and pains in her back. After a CT Scan, the doctors noticed that this was not any ordinary cancer, but a very aggressive cancer and had spread to her lungs, kidney, esophagus and back and other areas. I am reaching out to my friends, family, co-workers, business contacts to help raise funds for this great family while they go through this tough period and transition. During this Holiday Season, if you are thinking of helping out a family or looking for a family to give to, please consider the Loosli Family. They need all the help, blessings and prayers given to them during this time of giving. I wanted to update everyone and also say THANK YOU for all the generous donations. The news and update that I am about to share come with great heartache and sorrow. Below is her Tribute written by her loving husband and family. Roberta Elizabeth Loosli passed away Saturday, May 13, 2017 after a year-long battle with breast cancer. She was born and raised in Clovis, California and moved to Utah in her late teens. She met and married Peter Loosli. They moved to Colorado for two years before moving back to Utah. Bobbi worked at Fox Hollow Elementary as head secretary in a job she absolutely loved. She touched so many lives and made a huge impact on those she was around. She loved working with the kids, teachers, administration and mostly the other secretaries in the office. She was a tireless worker, always staying late, as well as bringing work home to stay caught up on all the office duties. Bobbi loved campfires and hated camping. She especially enjoyed weekly, sometimes two or three, campfires at her father-in-law’s home watching all the nieces and nephews play. She loved spending time with family. 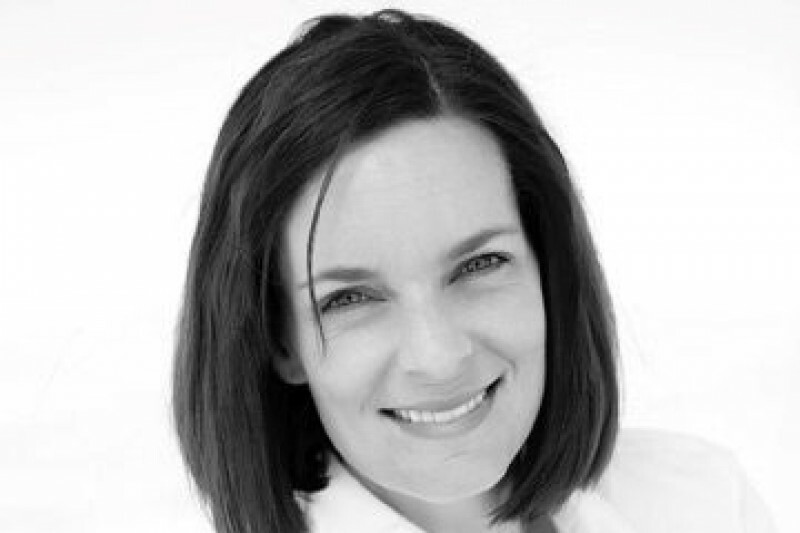 She had also worked for years as a training manager with Jamba Juice in both Utah and Colorado. She enjoyed the busy schedule and loved training new team members. Everywhere she went and in all aspects of her life she was a joy to be around. She was an uplifting and kind person. She was the first person to jump in and help and the last person to ask for help. She was overwhelmed by the community support in her fight against cancer. Bobbi is survived by Peter (husband), Sydney (daughter), Mckay (son), Robert (father), Lois (mother), Darryl (brother), Marti (sister), Devin (brother), Stephen (brother), and David (brother). A viewing will be held Friday, May 19th, 6 – 8 pm at their LDS Chapel, 6592 Haven Maple Dr. West Jordan, UT. Funeral services will be held Saturday, May 20th, 11:00 am at the same location. She will be interred at West Jordan Cemetery on 1300 W. 7800 So. West Jordan, UT. Peter, Syd and McKay, we love you and support you at this time of sorrow and loss. We are here for you and want you to know how much you and family mean to us. Bobbi will be missed and will live on through all of you. Just thought I would update everyone as to why the campaign is still open I was asked by some friends and family of the Loosli's too keep it open just past the New Year. I also wanted to let you know that Bobbi is so appreciative of all the love and support that is being shown. We hope that all of you have had a safe and happy Holiday Season and wish you the best of 2017. A quick update: we were able to give the Loosli family the first draw from the campaign and they were so taken back by the kindness and support they have received. We are so proud of the support we received during this campaign and with sad buy cheerful hearts we will be ending this campaign by the end of the year. Again thank you for all the supports and shares that everyone has done to support this great family. We truly wish everyone a safe and happy Holiday Season! 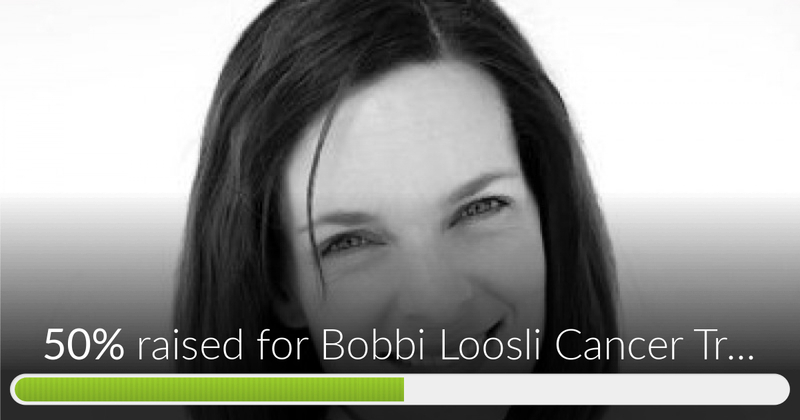 Bobbi Loosli Cancer Treatment Fund has reached 50% of its goal. We want to give a great big shout-out to everyone that has donated to the fund and challenge everyone to keep sharing so we can achieve the goal of this campaign. Bobbi and Peter, I'm thinking of you and your children.